2010 Miss Jamaica Universe, Yendi Phillips (seen below) finished as the first runner up to Miss Mexico. Call me biased but she should have won that night! ... And I've found her very captivating then since following her fanpage. I loved too when she cut off her hair and donated it to charity. ... And in person, she reads as being rather down to earth. 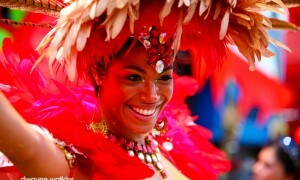 I caught glimpses of her during Trinidad Carnival 2012, since we were in the same section. Yendi definitely comes a close second to my other favorite Caribbean - Miss Trinidad & Tobago Universe, Wendy Fitzwilliam. I also enjoyed the following article, "There’s no time like the first time."